We invite you to learn more about MLWS students and their final projects, in which students must investigate a land and water issue of their choosing. In our latest project spotlight video, we introduce Destiny Allen-Green and Brittany Nicole Myhal, two recent graduates of the MLWS program, who explored resource management challenges of First Nation communities located in BC’s Southern Interior. Meet Luc Anderson, a recent graduate of the MLWS program, who undertook a Land Capability Assessment for the Cooks Ferry Indian Band (CFIB) located in Spences Bridge, BC, Canada. The goal of the project was to provide useful land use planning information to the band, in order to help them further realize the economic potential of the area, with sustainability as a priority. Meet Roya Bennett, a recent graduate of the MLWS program, who travelled to Colombia and assessed the potential environmental and socioeconomic impacts of a proposed mine on the local Coello and Bermellon watersheds. She focused on the connections between social and community well-being and the land-water system. The Master of Land and Water Systems program team has produced a series of videos that introduce the emergence of innovative designs and approaches to urban stormwater management. The series is in four parts and focuses on innovative stormwater management at three different scales: the Property Scale, the Neighbourhood Scale and the Watershed Scale. Finally, a Map of Locations is provided indicating the areas in which each management project took place. 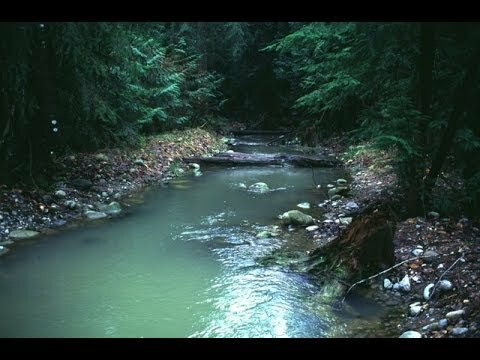 This series is used in UBC’s Urban Watershed Management course (SOIL 516), one of several online Watershed Management course offerings. This series is also useful for developers, students, real estate agents, municipal/regional planners, managers and engineers. Production of these videos is made possible by The Learning Centre at the Faculty of Land and Food Systems. 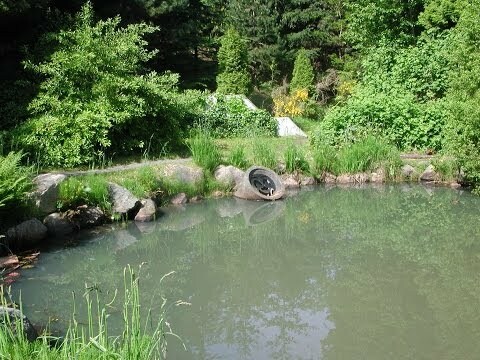 UBC’s Master of Land and Water Systems program introduces how urban stormwater management has evolved from a convey and drain mentality to focusing on more infiltration on site and also water quality concerns. 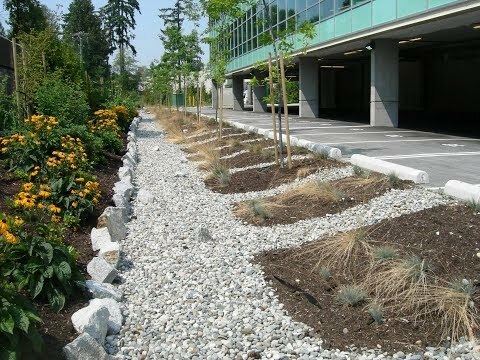 Rain gardens and bioswales, green roofs and roofwater harvesting are explored. This video covers parking lot and road designs, as well as bioswales, detention ponds, constructed wetlands and associated issues with mosquitoes. 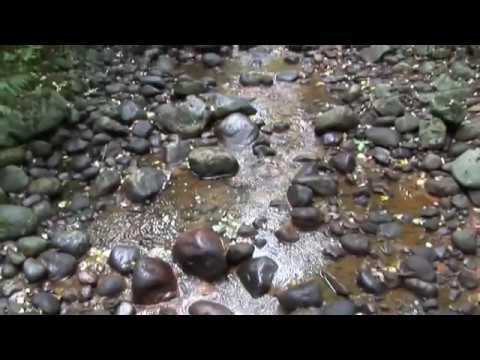 The final video in the series features effects of stream channelization and riparian buffer zones on urban water quality and flooding risks. It also shows how low impact designs at the property and neighbourhood scale can be integrated through a treatment train process. This map shows the locations of innovative stormwater management designs featured in the video series. Click on a point to learn more about a location and jump to where it is featured in the video. An accompanying report was published by the Canadian Water Network, one of the Networks of Centres of Excellence (NCE) in Canada. Access the easy-to-read Innovative Stormwater Management: Translating Science into Action report for a summary of the key concepts in the video series.